Over my course of learning how to get rid of social anxiety and shyness, I have noticed a very weird pattern that seems to constantly surface when I come across people who are similar to me. And it has always constantly amazed me at how true this actually is. This pattern is actually the paradox when I often find people are the most intelligent to have the least amount of social skills or confidence. And after contemplating about it for a long time, I have come up with a few reasons why this is the case. Are you currently socially awkward or shy? If so, and you have read this far, then you probably think of yourself a little smarter or more intelligent than the average person. You would probably also realize that you seem to view things from a very different perspective ever since you were young, and your thinking and mindset is also very different from others. Unfortunately though, this extra amount of intelligence means nothing when it comes to your social life, such as making new friends or getting a new job. Instead, it may even backfire! So if you really want to make good use of your intelligence, you definitely really need to hone your social skills, and this is first achieved by understanding why intelligent people tend to be more socially awkward. Having come across so many smart people who are socially awkward and trying to help them get rid of social anxiety and shyness, it just really blows my mind when they just do not get it. When it comes to these people, they often tend to try to look for that particular piece of “magic information” that would allow them to fool other people into thinking they are not socially awkward, instead of trying to genuinely change. And that is one of the main reasons why intelligent people are socially awkward forever. They continue to think that just by thinking about their social anxiety and searching for information about it, they can get rid of it completely. NO! Getting rid of social anxiety and shyness is a SKILL, not a theory. What this means is that you would get better by DOING, and not just thinking about it. You will probably learn more from one hour of interacting with other people as compared to 20 hours of “information getting” in the comfort of your own home! Keeping a simple conversation going is actually something very simple and straightforward. But why do people who are smarter and more intelligent often have problems doing so? Well, the reason is because they just think too much! When they try to start a conversation with someone, they tend to think of what subjects they should say, whether the other party would like it or not, what to say next after the previous question, what type of replies the other party would reply and what are the different answers from A-Z the other party would give from just a simple question and the list just goes on and on. And what happens in the end? Right.. this thinking too much would make them fear the conversation and then they would prefer not to start it at all! This is pretty similar to Reason Number 2, or should I say this is an effect of reason number 2, after thinking too much. Smart and intelligent people often scare themselves out by coming out with all kinds of reasons why everything will never work when it comes to social situations, even before they have even started doing it. They make use of their creative imagination to imagine all kinds of possible scenarios and the negative feelings that come along with it, to the extent that they don’t even try to do it. Socially shy and anxious people seem to have a tendency to overestimate the probability of something bad happening, and also the consequences if the something bad really did happen. But the truth is, reality is not as bad as you imagine it to be, 100% of the time. If you have this problem of thinking about negative outcomes even before you have started doing anything, then you really need to kick this happen right now! Smart people are usually unable to deal with fear and their own emotions. Because smart people tend to be better at a lot of stuff as compared to the average guy, they often try to run away when they feel uncomfortable dealing with things that they aren’t as good as, and this includes social skills and situations. They would rather run away from the problem rather than face them, or even just open their mouth to ask for help! If this sounds like you, then you really have to start by changing slowly and learning how to master your emotions. Do not worry about other people looking down on you for learning “self-help”. After all, it is your own future and your life, not theirs. There are, of course, a lot more other reasons why intelligent people tend to be more socially awkward and shy than the average person, but these are the 4 main ones that are really common. And all of these can be overcome and changed over time! If you agree with all of these 4 reasons, then you really ought to make a plan and start changing yourself for the better today. 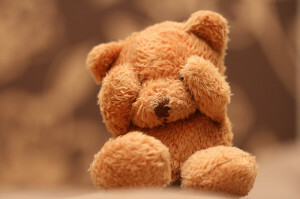 If you do not know where to start, you can start from How to overcome shyness. Once you have managed to overcome your shyness, you will definitely have a huge advantage over your peers – for now you have both brains and social skills! Filed under: Shyness, Social Anxiety. Bookmark the permalink. This article just sounds exactly like my friend ! Haha ! They are so intelligent but really have very low Emotional intelligence. sometimes I have difficulty trying to talk to them.